I am a person who is often deafened by my thoughts. I'm a worrier. An over-thinker. A planner. A dreamer. A writer. Sometimes with so much going on in my mind I can't separate my ideas and everything becomes a discombobulated mass of chaos! Sarah very kindly gave me the One Line A Day book as a Christmas gift. I held out to using it until exactly one year to the day before my wedding. One of my wedding planning "resolutions" is to try and stress less, so I thought that keeping a 'journal' of sorts would help me manage everything going on in my mind and help me think clearer. This book now comes with me everywhere I go and I write in it religiously. Some of the thoughts so far have been sad. Some have been angry. Some, incredibly happy. But whatever I'm feeling, whether it be good, bad or ugly, goes in to this book. It comes with me everywhere - my most devoted travelling companion, and it is really helping me out. And what I like most about it is that it is a five year book. So all the thoughts and feelings I have in the next five years can be tracked. And one day when I'm older, greyer, and surrounded by plump, cherub-looking grandchildren, we can look back on it together and I'll be reminded of what I was like in my youth. 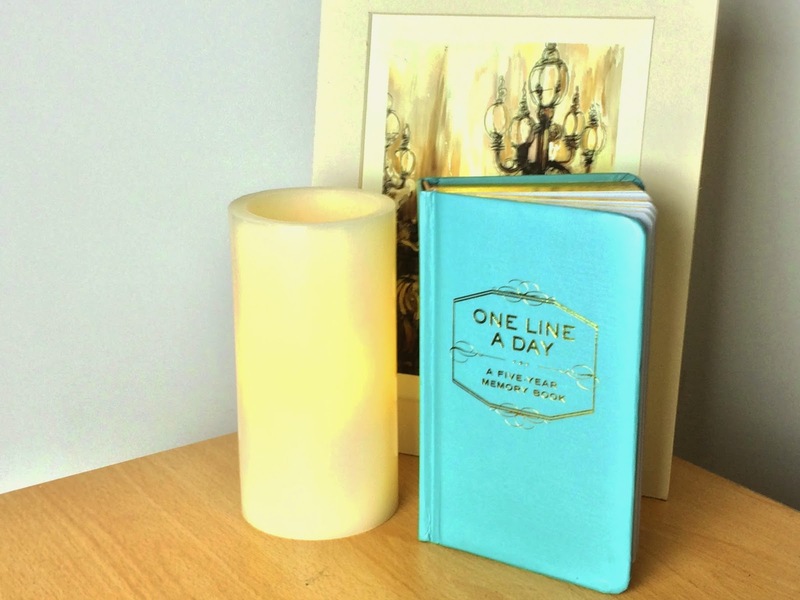 Who else keeps a One Line A Day book or a journal? This is a lovely idea! I need to get one of these books :) helps you re-focus!